Although Europe is the venue for fevered culinary debate about who actually invented French fries, the Belgians claim to be the first. So much so that in the tiny city of Bruges, they've established a museum to make their case in one of the city's most historic buildings, which dates back to the 14th century. 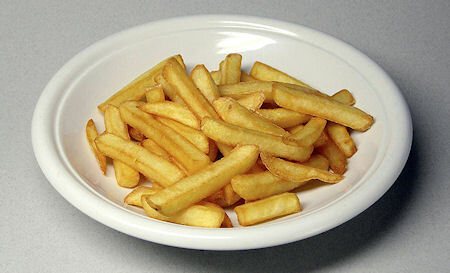 If the Belgians invented French fries, then why are they not called Belgian fries? The real origin is probably in Seville, Spain, back in the 16th century. Mother Teresa of Ávila grew potatoes in her convent gardens to feed the poor and sick and probably fried them in olive oil. So perhaps we should call them Spanish fries instead?